I came across this article a couple of weeks ago and it instantly made me smile. What a sweet boy with an awesome name; Hawkeye Huey, who is traveling in his father's footsteps (literally). 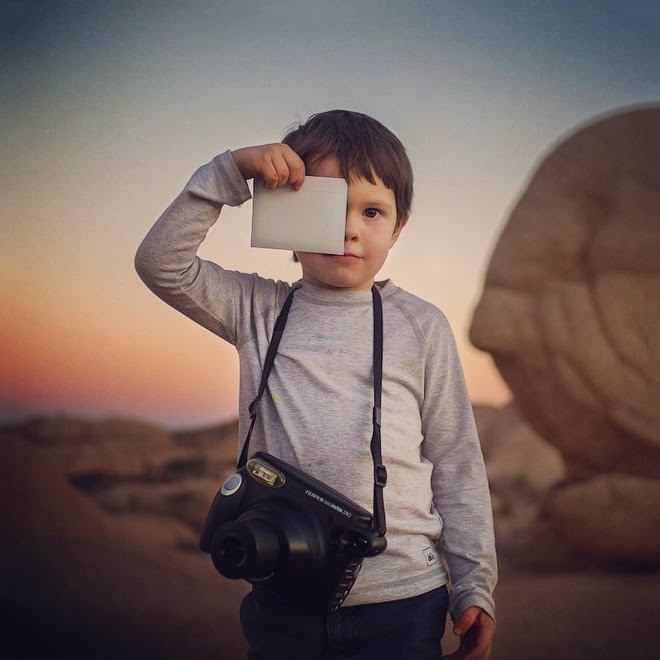 His father is a National Geographic photographer and he gave his son a Fujifilm Instax 210 to document what he saw around him as well. It is fun to click through Huey's Instagram account and see the world from a four-year old's perspective. I think this story stuck a nerve with me because I love to take photographs and I also love that Oliver enjoys snapping pictures with my camera and my phone. I have even loaded up a 35mm film camera and let him go wild one day at Drumlin farm. It is so fun to see what he comes up with and deems worthy of a photograph.